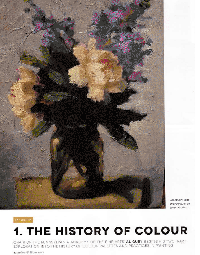 Al writes frequently about the history and techniques of drawing and painting. 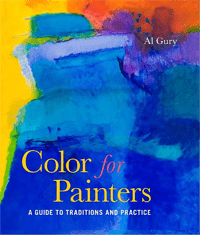 Al is the author of three books on drawing, painting and the use of color. 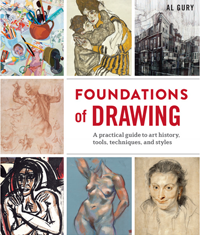 His latest work, Foundations of Drawing, focuses on teaching and techniques and is now available. Al is also a contributing editor to Per Contra, an international journal of arts, literature and ideas, and a contributor to Artists and Illustrators magazine, American Artist magazine, and a variety of other publications. (For a more detailed list of publications, download Al's resume). Al is also a frequent commentator on the Philadelphia art scene, a guest curator of local and national exhibitions, and a regular juror at various exhibitions and competitions. PRE-ORDER NOW FOR DELIVERY IN JUNE, 2017! Artists and Illustrators magazine says "a solid understanding of drawing is a must for artists and books introducing the basics abound, but Gury’s latest goes several steps further. 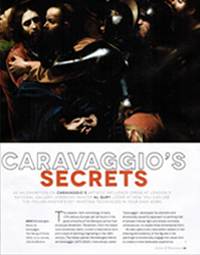 In its pages you will find an overview of drawing as an art form covering its history, materials and key techniques. And, alongside step-by-step demonstrations, there are reproductions of the finest master drawings from the 15th century to the present." Adding color to any canvas is both art and science. In fact, it’s a discipline that can be explored and learned through the practical application of techniques that Al Gury has developed during his nearly 30 years of teaching. 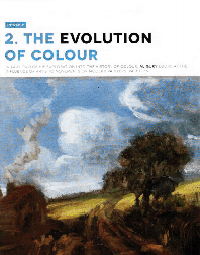 Richly illustrated with more than 270 full color images, including masterpieces from the past 500 years of Western painting, this book offers the instruction every painter needs to confidently construct a painting with color. 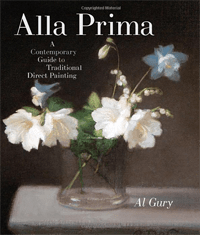 A comprehensive guide to direct painting (characterized by bold, expressive brushwork and a painterly, atmospheric surface), Alla Prima covers the history of the direct methods in both Europe and America. From there, it includes detailed step-by-step lessons and discussions on drawing structure, broken and smooth brushwork and color development.